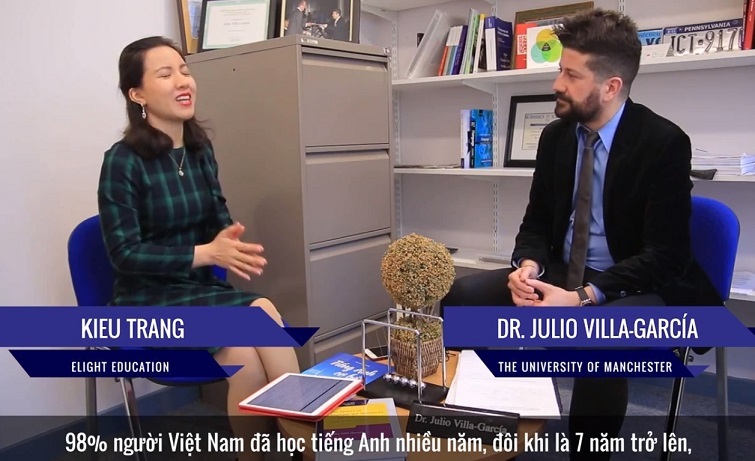 Julio Villa-García, our in-house expert on syntax and language acquisition, has recently been interviewed by eLight Education, a Vietnamese organisation aimed at promoting the teaching of English across the country. With over 750,000 subscribers from different nationalities, 200,000 students studying on their YouTube channel per day, and around 70 million visitors, eLight is committed to helping 1 million Vietnamese people learn English. The interview, which deals with the teaching of foreign languages, mastering pronunciation and the best age to learn languages, will appear later this year.